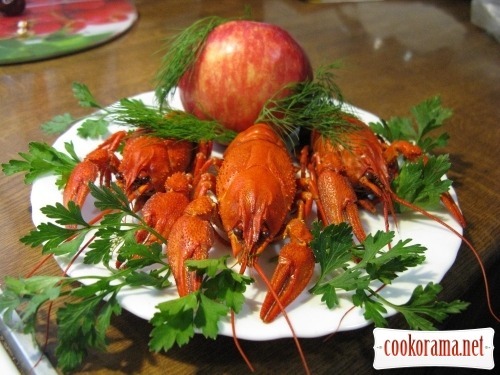 Recipe was born spontaneously, I cooked compote of apples, and near put to cook crayfish. And I thought, what will be the taste of crawfish, if to add apples in water, as duck is cooked with apples. Husband was slightly shocked, he said, if he won`t like them, I would have to eat them all. I will tell you in truth, crayfish are marvelously tender, better than simply cooked with fresh herbs and spices. 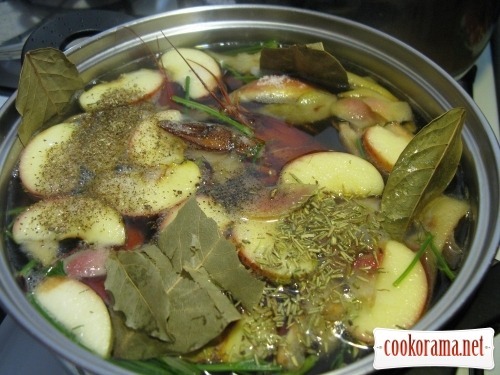 I do not know the reason, maube someone can help, maybe Kagor will visit my recipe Because now husband wants only with apples, and I am very interested. Crayfish must be only alive!!! With curled tails. 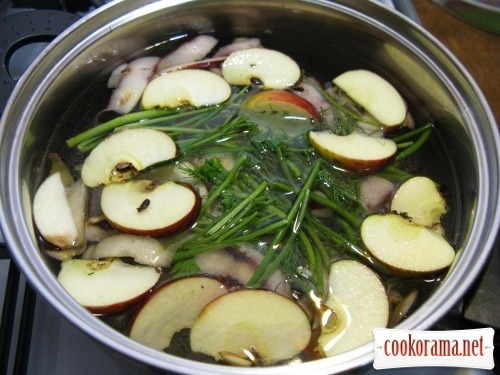 Pour water in saucepan, add greens and slice apples. Boil all this, put there crayfish. Add spices and herbs, stir it. Boil them on low heat for 8 — 10 min. Do not open the lid and let them stay for 20 — 30 min. 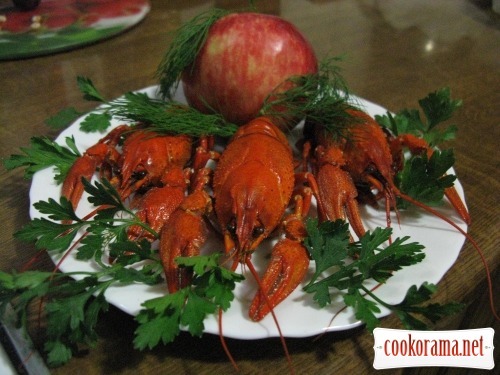 Top of recipe "Crawfish boiled with apples:)"
ну як буду варити раки, то тільки з яблуками!